TOTO is a superior company because it bases its business model on five simple principles that will help them fulfill their philosophy. They use advanced technology to produce plumbing products, to help promote a more comfortable life style for people around the word. They focus on engaging in ongoing research and development, in order to provide superior quality products to its customers. The company creates a work environment where individuality is both respected and encouraged. This helps to promote innovation. TOTO strives to not only meet, but exceed customer expectations for all of the products and services that it offers. TOTO supports the environment. They value the preservation of limited natural resources and strives to protect and preserve the environment in any way they can. 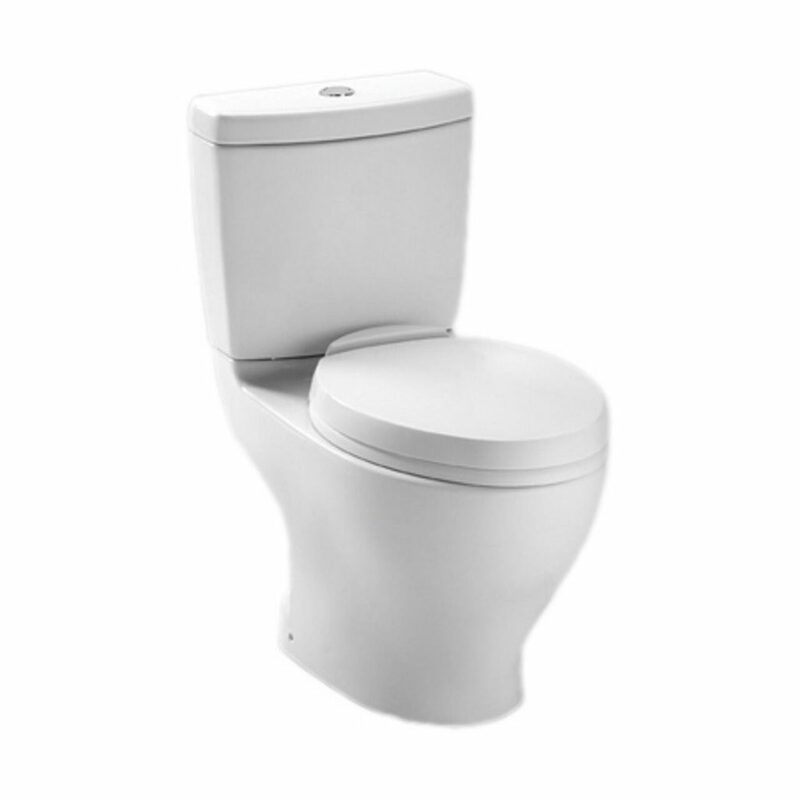 The TOTO Ultramax II is a one piece, high-profile toilet. It features a high efficiency double cyclone flushing system that increases efficiency and decreases water consumption. TOTO uses highly advanced materials including the SanaGloss ceramic glaze that is specifically designed to repel mold and debris. The TOTO Ultamax II is a water-saving toilet. It is designed with the environment in mind. It has a 1.28 GPF water consumption rate. 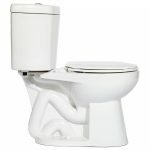 It has an elongated bowl and comes in a clean cotton white color. This toilet features beautiful chrome fittings. It has a large basin with a wide backsplash for ease of use. This is the best Toto economy toilet. 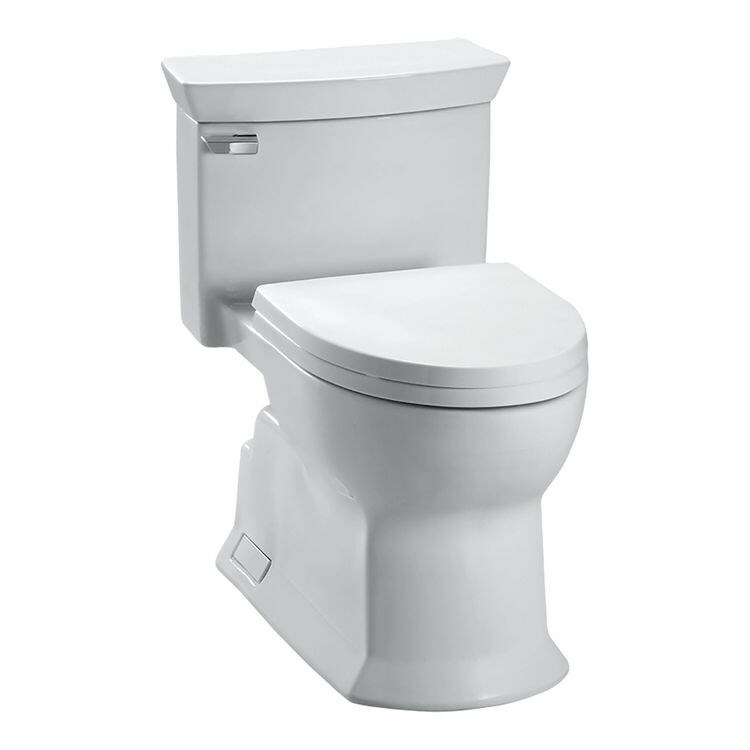 It is innovative and contains double cyclone technology, for more efficient flushing. It was manufactured in Japan and can be purchased with an elongated bowl in a cotton white color. Additional colors available include bone, colonial white, ebony and sedona beige. This toilet is ADA compliant. 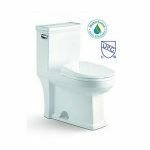 The TOTO Drake II is a gravity flush toilet with a 1.28 GPF (gallons per flush) water consumption rate. It features a powerful, quiet flush with an impressive 1.6 GPM flow rate. 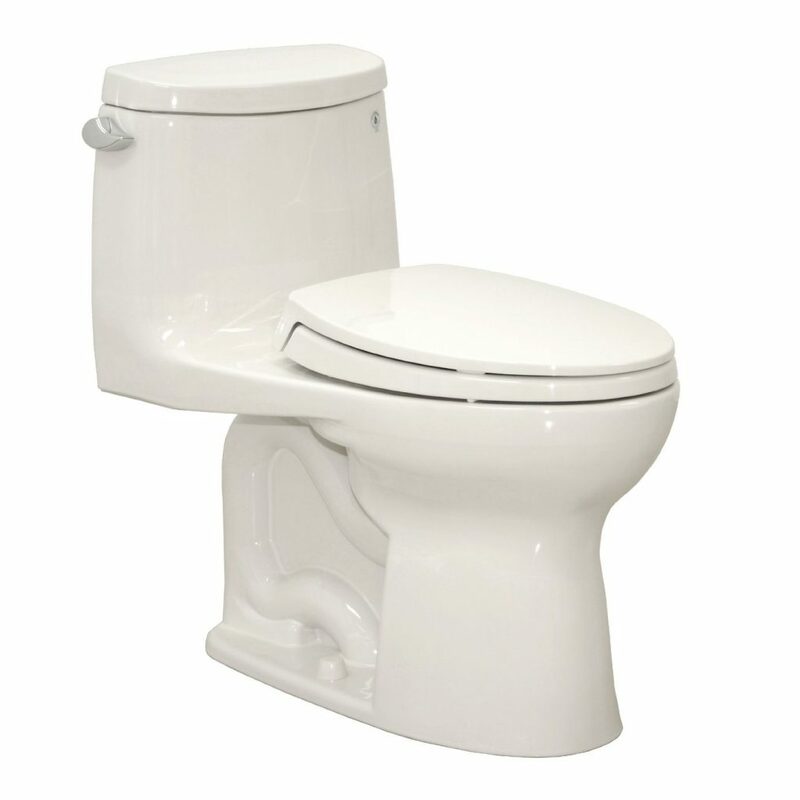 This toilet weighs 89 pounds and comes in a 2 piece design. 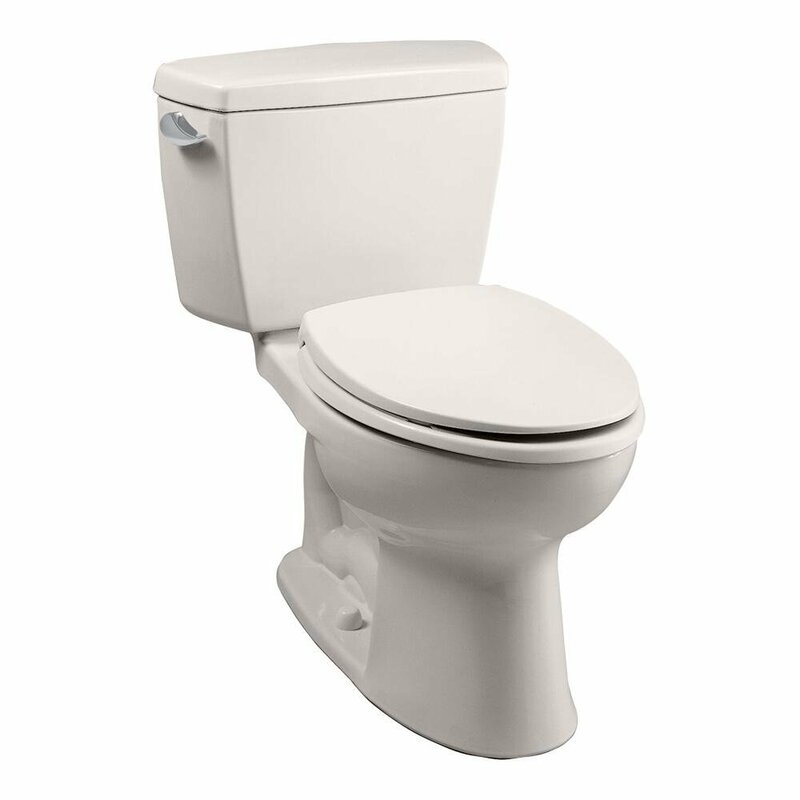 This is a top of the line toilet designed to be beautiful, ecological, and efficient. 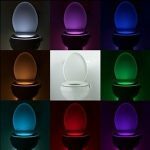 It features everything you may want in a toilet, but it also carries a hefty price tag. It has a compact design and an advanced ceramic glaze. This helps reduce debris, mold and bacterial build-up on the toilet, thus making it easier to clean with less water and fewer chemicals. This toilet also features a remote control that controls everything from water flow, to temperature, to a built in blow dryer. Additionally, it has a heated seat for those cold mornings. Furthermore, it is a dual flush system so you can use a lighter flush for fluids, thus saving water and money. The features may be complicated to use. It comes with a 61-page manual. 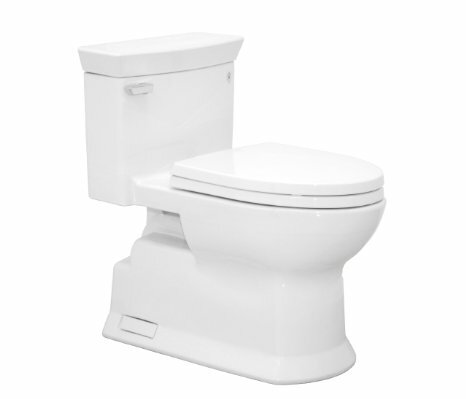 The TOTO Aquia is a beautiful and affordably designed toilet. It looks nicer than the Drake II and it is easier to clean. It has a Dual-Max flushing system, which uses a lot less water and lowers your water consumption. 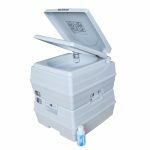 The Dual-Max flush option enables you to use more water for solid waste, but allows you to use less when it is not needed. The flushing mechanism is located on the top of the tank. It comes in a variety of finishes, including bone, colonial white, cotton white, ebony black and Sedona beige. The Eco Soiree model is a one-piece unit, with a cool skirted design and a high profile tank. It has an elongated front bowl, and a soft padded seat which is included. The Eco-Soiree model comes in cotton white, Sedona beige, bone and colonial white. This model features a double cyclone flushing system to make cleaning quicker and easier. 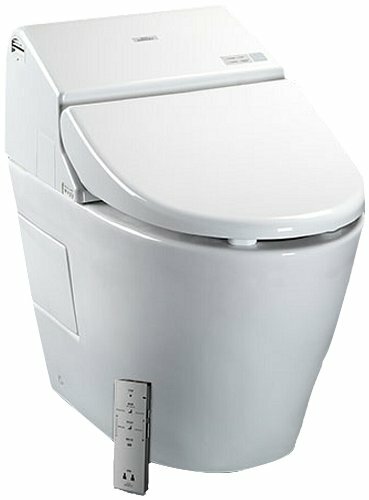 It has a very strong flush even though it is a low consumption toilet. 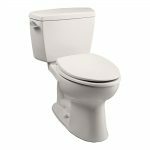 The best TOTO toilet depends on what criteria you are using to determine what is best. 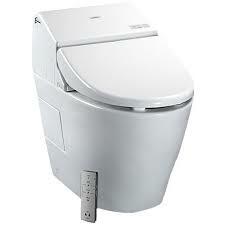 The nicest toilet with the most features is the TOTO Washlet G500. It has every bell and whistle a toilet could possibly have, but it also comes with a very large price tag. For most consumers, the Ultramax II will offer a nice combination of features and value. 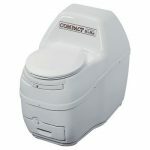 It does not come with a heated seat or a remote control, but it is a good low-consumption, high-efficiency, ecologically friendly toilet choice that is affordable for most family budgets. 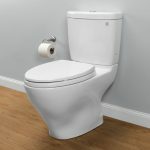 So if you want the best ﻿toilet they make, you will want the Washlet G500 with integrated toilet; and if you want the TOTO toilet for the best value, you should consider the Ultramax II. Remember, you can always add a bidet toilet seat later. 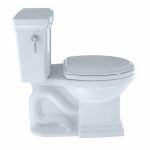 Before you begin to change out your old toilet. Make sure you wear gloves. Many TOTO toilets are very expensive so many people may not be able to afford one. 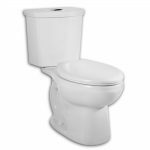 The elongated toilet bowl on some models may make it difficult for you to find a toilet seat that will fit your TOTO toilet. 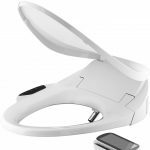 It is a disadvantage that some of the toilet models do not include a toilet seat.